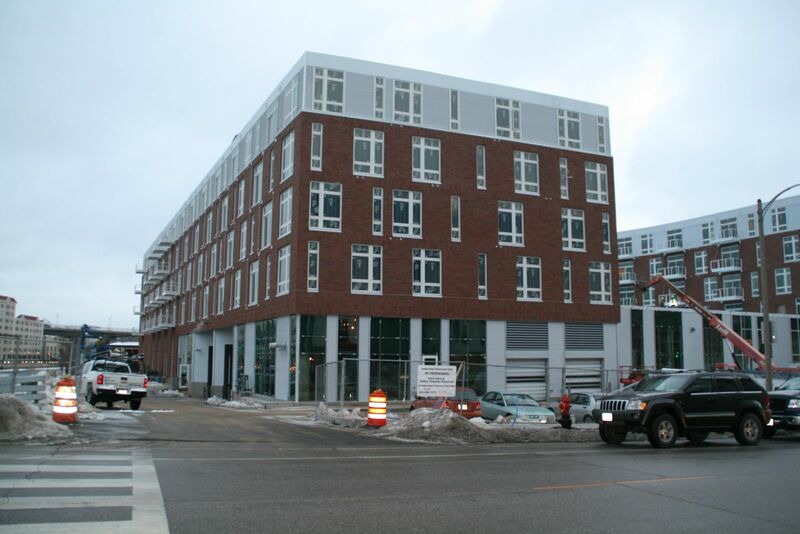 Final exterior construction is underway on the Aperture Apartments, the third phase of the Mandel Group's The North End. Photo taken January 26th, 2016 by Jeramey Jannene. All Rights Reserved.